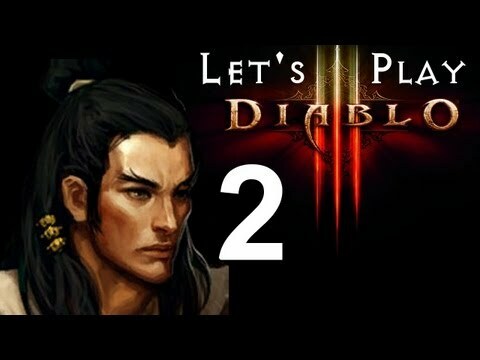 Diablo 3 – D3 Beta Walk though series. 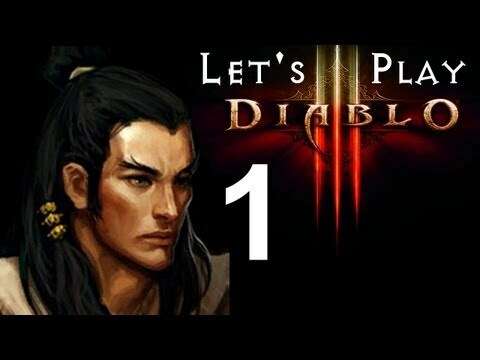 Welcome back to the walkthrough of the diablo 3 beta act 1 scene 1. That is all available during this first beta, and it is not alot of content, but what is available is very fun and VERY addictive. In this video series, we walk through using the wizard class of the diablo 3 beta. The wizard stats off with Rapid Cast, Offensive, and Utility abilities. Our starting spells are Frost Nova and Magic Missle. The frost nova utility spell is a aoe freezing spell that freezes opponents (cool down of 12 seconds) and the magic missle is the rapid cast spell that does quite a bit of damage. This is by far my favorite class. Just having massive damage, crowd control, and ranged attacks all bundled into one class makes for a pretty powerful character. In my opinion, it is probably overpowered in the beta as this walkthrough we run through the entire diablo 3 beta act 1 scene 1 rather quickly. While my other walkthroughs have 3 parts, this one is done in only 2. Another note worth mentioning, is this class can be played differently depending on your play style. If you like ranged classic style magic users fine, however, if you prefer melee combat (read as battle mage), you can use a different set of spells, like frost armor, and spectral blade. Something that is specific to diablo 3 that was not in the previous two releases is random quests/encounters. This is where from out of nowhere there will be a rapid spawn of several dozens of monsters for you to slay usually including a named mob with some magic rewards. This can be seen in the first video at the very end and finishing off in the first part of the second vide. Again, the wizard finished the d3 beta in under an hour as compared to the other classes. Now, granted, as every game is played, you learn tricks/shortcuts that helps, but the class really is a powerful class. As these walkthroughs progress you can see that it is becoming very apparent that the replayability is heavily based on item acquisition. The beta does not cover much material, but every time I play I find myself wondering what hidden treasure will I find today. So I keep playing.. over and over and over…. I still need to post some diablo 3 cheats, and some really good diablo 3 guides, so stay tuned for more posts.